The music of Oleta Adams defies categorization. Even her four GRAMMY nominations cut across multiple genres—showcasing her artistic versatility and inherent individuality. Although “Get Here” is her biggest popular hit in the United States, she has developed a substantial following in Europe, where eleven of her songs charted on the UK Singles Chart. 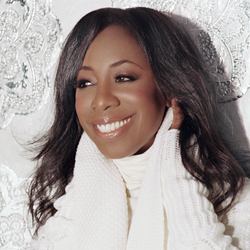 And over the past two decades, Oleta Adams has amassed an international following, whose dedication draws strength and fixation from her warm vocals and passionate spirit. Whether singing jazz, Gospel or R&B, Oleta Adams has the power to connect with her fans through the raw emotion underlying her personal—yet universal—lyrics. Her latest album, Let’s Stay Here stands as the eighth of her long, illustrious career.